And you get them ALL RIGHT! Over the last four years, I’ve started a small collection of questions that I repeatedly gotten pimped on by various attendings from many different services. We at QuickHits decided to empower the med student by starting a weekly post with a number of high yield questions along with some you-know-it-or-you-don’t type questions that you can impress some attendings with. We hope this allows our readers to continue to build a thorough knowledge base. Give a shot at the first volume of pimp notes. Highly sensitive physical exam test for mandibular trauma/fracture? ST Segment elevation in right sided V4 lead is high suggestive of? Most severe complication (and most common cause of death) in ITP? Metabolic causes of acute confusion? Pneumonia classically associated w/ bullous myringitis? 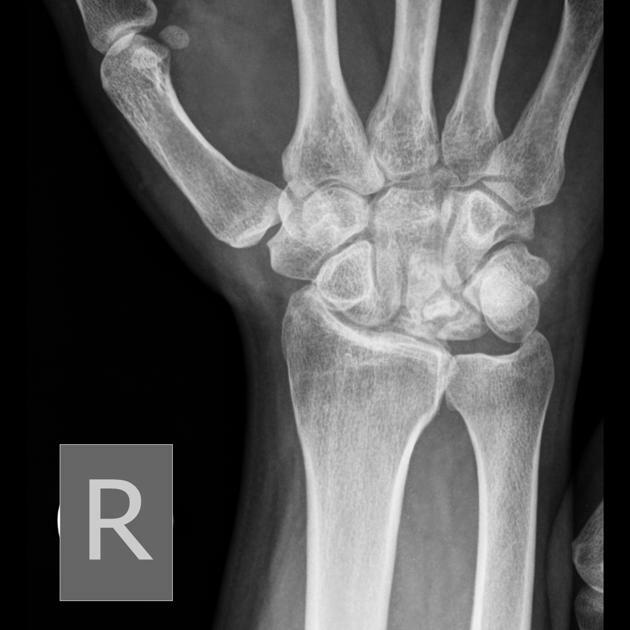 26 year old male presents with his elbows, wrist, and fingers locked in flexion. He started having an exacerbation of his anxiety attacks about 4 hours ago. When seen in the ED, he is hyperventilating and complaining of tingling in his fingers and inability to relax his hands. source: Robert A, Schwab MD et al. Clinical predictors of Mandibular Fractures. Am J Emerg Med 1998;16:304-5.
common cause of pneumonia in young adults. It is classically associated with bullous myringitis.